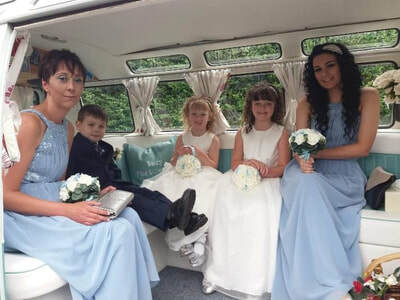 Artificial Wedding flowers - Wedding Flowers by Laura Wedding flowers by Laura . 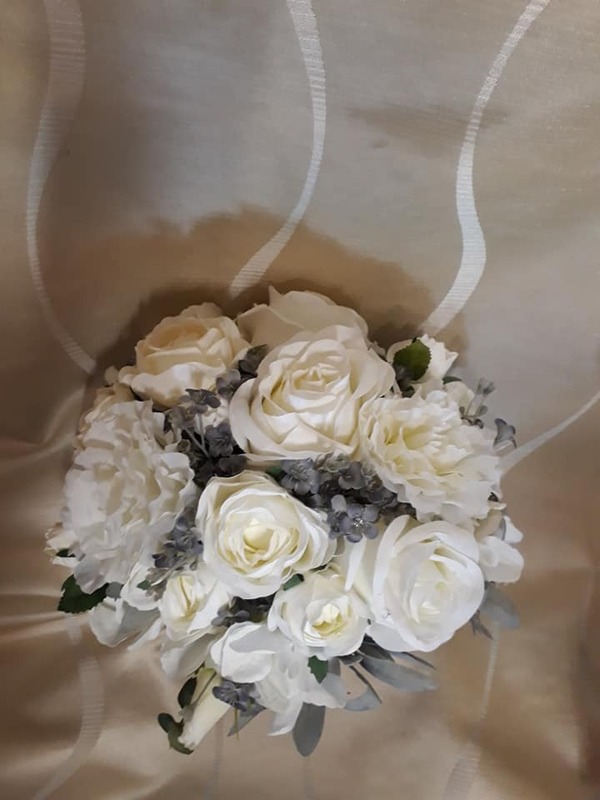 Not everyone wants fresh flowers for their special day. 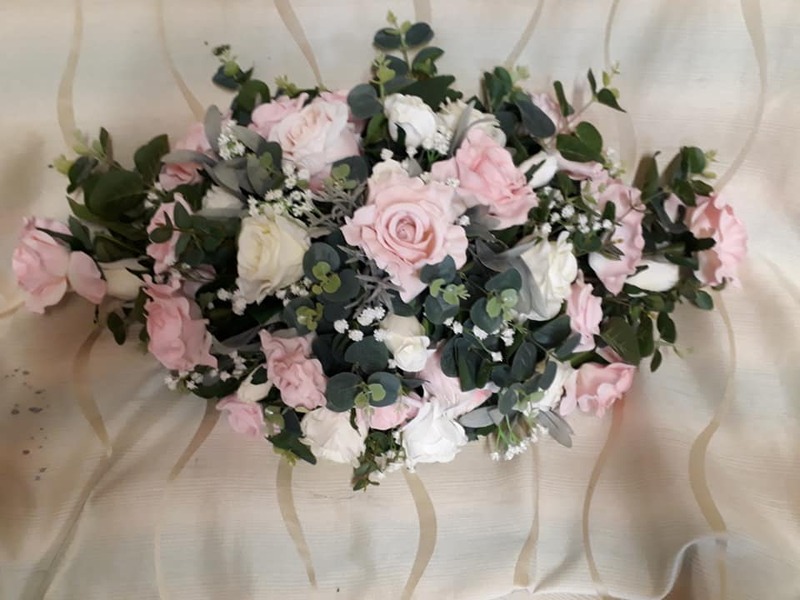 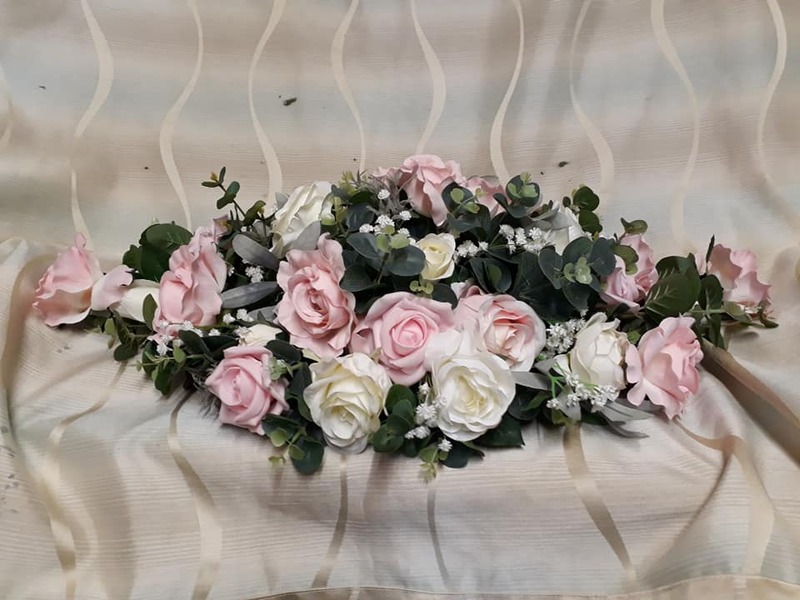 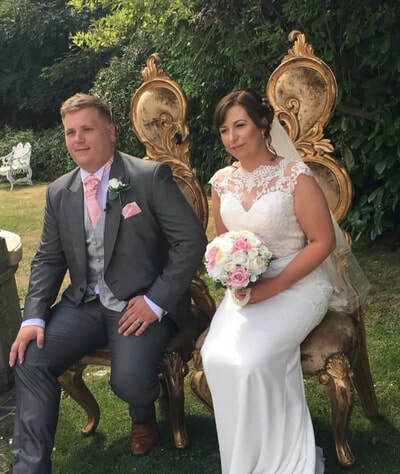 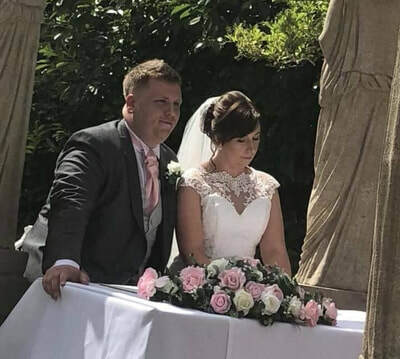 Our artificial range is perfect for allergies to flowers or wanting to keep their bouquet forever, the benefits of having artificial is that they will always look perfect for the photographs, and you don't have to worry about putting them in water to keep them from wilting! 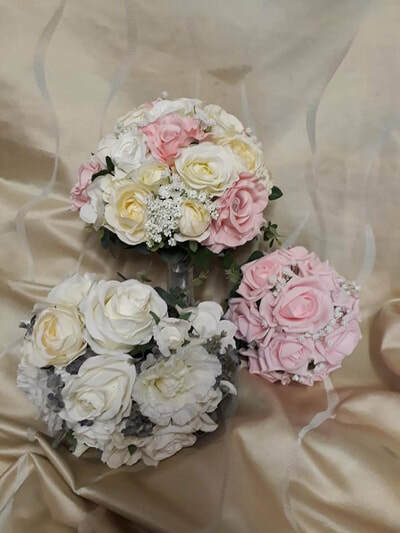 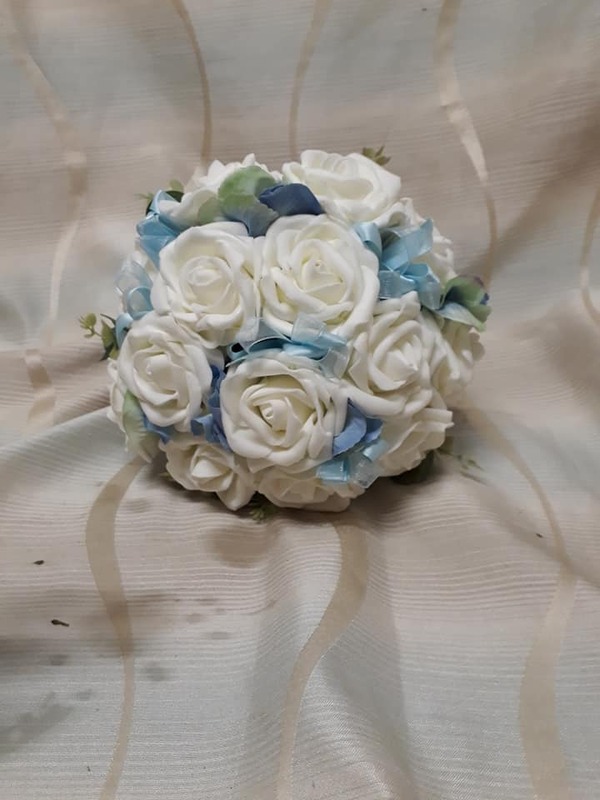 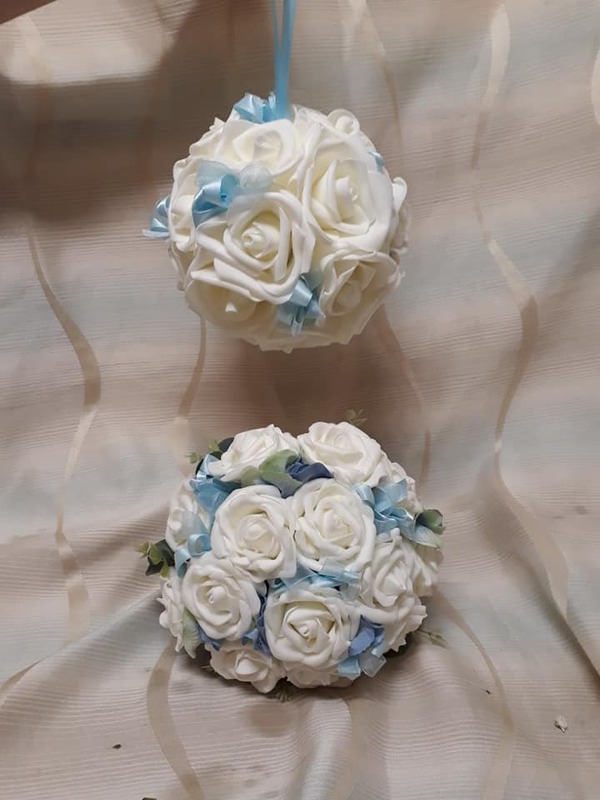 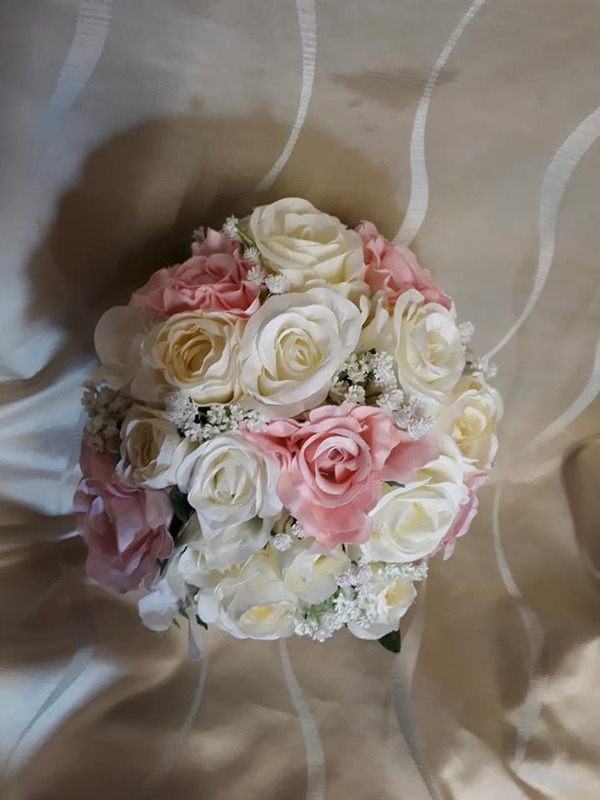 The quality of artificial flowers is so good nowadays that you can't tell the difference from fresh, there are no rules that say that you can't add an artificial flower to a fresh bouquet, especially if you are getting married in winter and want a seasonal flower in your bouquet. 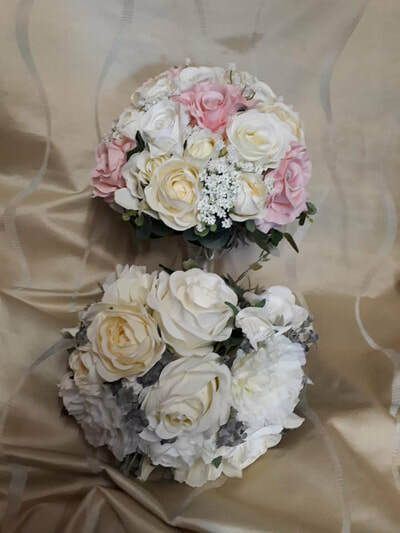 Every bouquet is made to order our collection is to give you an idea and visual of the style that is achievable.